A debut novel like no other, renown Biblical scholar and speaker Paul Gooder uses her expertise to create a vivid and moving Biblical story. The gripping first novel from renowned New Testament scholar Paula Gooder, which brings alive first-century Christianity and the apostle Paul as never before. Sometime around 56 AD, the apostle Paul wrote to the church in Rome. His letter was arguably his theological masterpiece, and has continued to shape Christian faith ever since. He entrusted this letter to Phoebe, the deacon of the church at Cenchreae; in writing to the church that almost surely met in her home, Paul refers to her both as a deacon and as a helper or patron of many. But who was this remarkable woman? 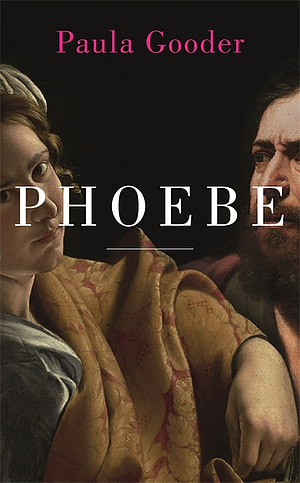 In this, her first work of fiction, Biblical scholar and popular author and speaker Paula Gooder tells Phoebe's story - who she was, the life she lived and her first-century faith - and in doing so opens up Paul's theology, giving a sense of the cultural and historical pressures that shaped Paul's thinking, and the faith of the early church. Written in the gripping style of Gerd Theissen's The Shadow of the Galilean, and similarly rigorously researched, this is a book for everyone and anyone who wants to engage more deeply and imaginatively with Paul's theology - from one of the UK's foremost New Testament scholars. Phoebe by Paula Gooder was published by Hodder & Stoughton in May 2018 and is our 1293rd best seller. The ISBN for Phoebe is 9781473669727. Superbly written and researched story, through which, including the accompanying notes, I got a better insight into Paul and the Roman Church than if I had read any Bible commentary. I appreciated the writing in simple English, with an absence of academic terms, which even I can understand. I look forward to Paula Gooder's next story, perhaps based on her expert knowledge of the Corinthian Church. Got a question? No problem! Just click here to ask us about Phoebe.